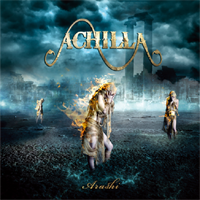 For download look for Achilla on Amazon, iTunes or your favorite download store! 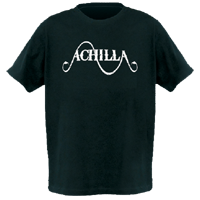 The T-shirts in size S are currently out of stock, but we are going to re-order. For now you may contact us and we will notify you as soon as we have new stock. 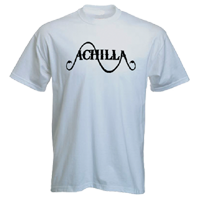 All purchases on achillamusic.com are paid via PayPal, terms & conditions apply. We will try to post your items as soon as possible; this should normally mean between 3-5 days. However, if we are on tour, there may be some delay before we can post items.